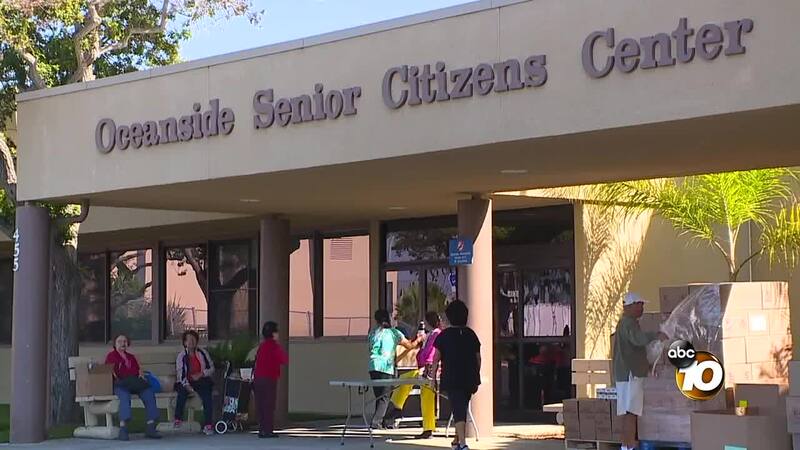 OCEANSIDE, Calif. (KGTV) — Since 1975, the Oceanside Senior Citizens Association has been serving hot meals to North County seniors in need. Due to financial hardships, that will end after Dec. 28. "Our program has skyrocketed, we have a lot of seniors that are below poverty level, they have no family, they have no finances," Executive Director Sylvia Spears said. "Our meal is sometimes the only meal they get for the day and we ask for a donation only, we never turn anybody down if they can’t make a donation." Spears says the program is funded by senior donations, the county, and grants. However, she says senior donations have dropped 75 percent and they now have more clients than ever. Spears says the nonprofit asked the City of Oceanside for help, requesting an additional $15,000 a month. The city could only offer half of that. "I had to realize that we just couldn’t go on anymore and that’s hard because I know what these meals mean to these seniors," said Spears. Despite the nonprofit shutting down, the city says it’s committed to ensuring there’s no gap in services. "Those who’ve been participating in the nutrition program will continue to have access to that here at the Senior Center as well as within their homes if they choose to do so," said Mark Olson, Parks and Recreation Division manager for Oceanside. Olson says they are working closely with the county to bring in another meal provider.